Today marks the first release for the Xbox Live House Party with Hard Corps: Uprising. 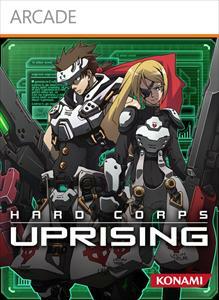 Uprising is a new game the resembles the classic 2d shooting of titles like Metal Slug and Contra. The game will cost 1200 MSP ($15), so be sure to check out the trial. If you like it, you can also pick up new characters at 200 MSP each. Shouldn't they have just been in the game? I don't know, but I'll at least check out the trial and see how the core game is. 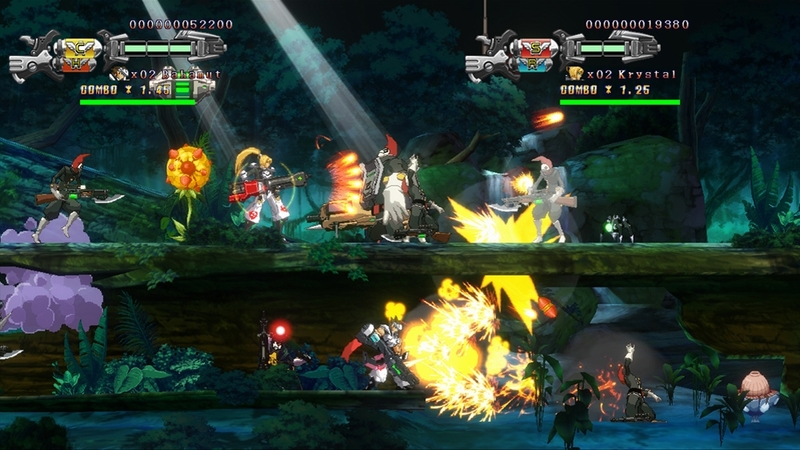 "Thrilling retro run-and-gun action is back with a vengeance in Hard Corps: Uprising, a new 2D side-scroller developed by ARC System Works that pays homage to classic Konami action series. Play as the soldier Bahamut as he begins to write his legend. Battle in the grueling trenches of Arcade mode, where only the best-of-the-best can survive to the end, or the all-new Rising mode, where a life bar and point system allow you to purchase items and upgrades to build your soldier up and achieve ultimate victory. Need help? Partner with a friend to lay down some serious carnage."